Earn points on your players club card and receive a free gift! 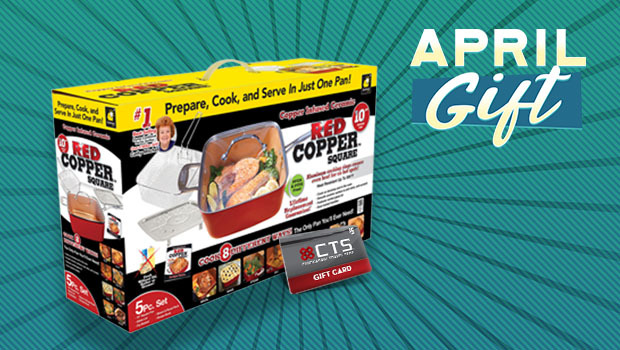 Blow out the candles, open your presents and win cash! 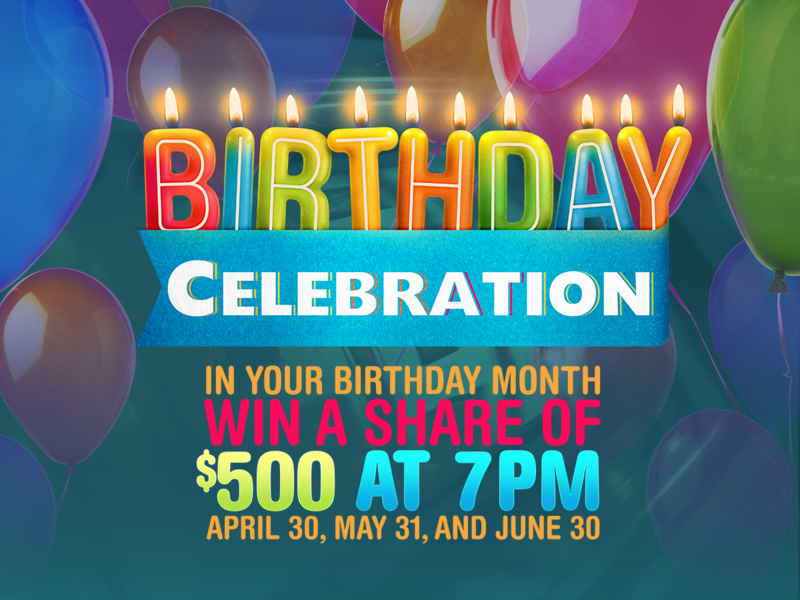 Join us on the last day of your birthday month for your chance to win cash prizes. 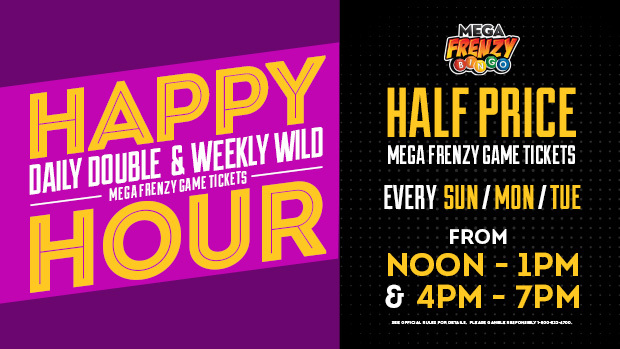 Purchase your MFB Daily Double or Weekly Wild tickets for half price during designated times on Sunday, Monday and Tuesday!